(= Nova Scorpii 2013;CBET 3542) on 2013 June 04.64UT by using LOSA/F2 spectrographmounted on the 1.3m-Araki telescope. 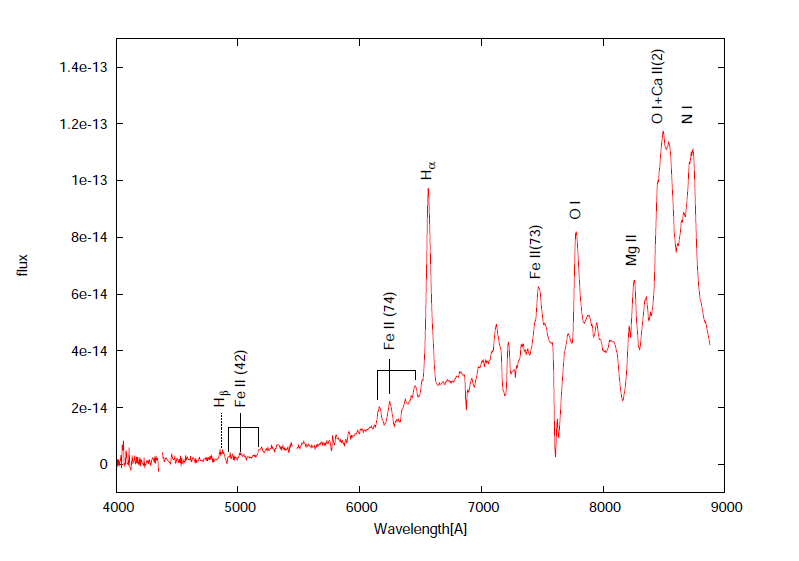 The obtained low-resolution spectrum (R is about 600 at H_alpha) of the nova shows prominent emission lines of H_alpha, Fe II(42,73,74), O I, N I and Ca II on a highly reddened continuum. 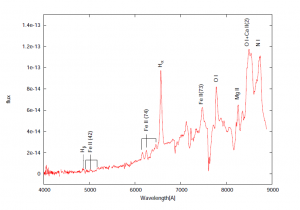 The FWHM of H_alpha emission is about 2500 km/s. These features suggest that the object is an Fe II-type classical nova reddened by interstellar extinction.